Serta Perfect Sleeper Coralview Plush - Could This Be Your Next Bed? Home » Serta Perfect Sleeper Coralview Plush – Could This Be Your Next Bed? Serta Perfect Sleeper Coralview Plush – Could This Be Your Next Bed? 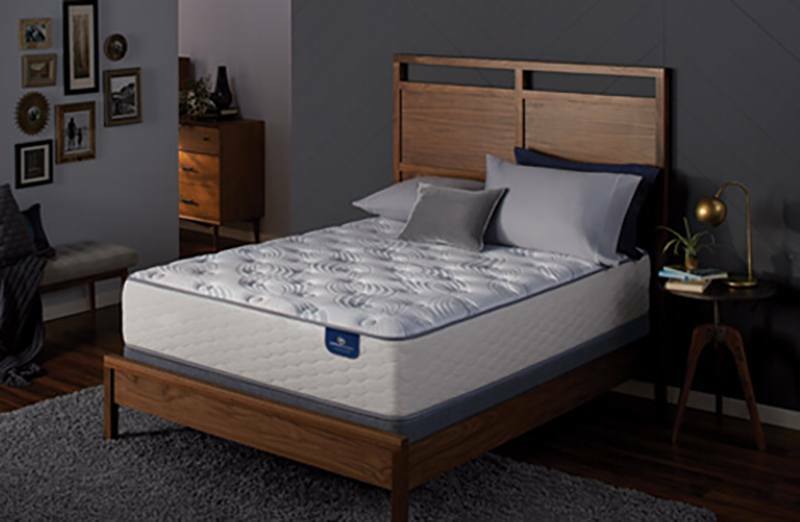 The Serta Perfect Sleeper series of mattresses consists of a collection of innerspring, memory foam, and hybrid mattresses. It also promises to help relieve five common sleep problems, including sleeping hot and tossing and turning. The Coralview Plush mattress is 12″ high and features an innerspring coil system along with layers of plush and cooling foam on top to enhance cushioning. Reviewers like this mattress for its pocketed coils, which help with motion isolation and provide good support. This mattress is towards the soft end of Serta’s firmness scale. You’re a side sleeper. Side sleepers tend to prefer and benefit from softer mattresses that have contouring or pressure-relieving materials to ensure the comfort of the shoulders, knees, and hips. The pressure-relieving memory foam in the top layers of this mattress might make this a good fit for side sleepers who otherwise prefer an innerspring bed. You like a mattress to feel slightly bouncy or springy, rather than solid. The Coralview Plush contains 739 Custom Support® Innerspring with Best Edge® Foam Encasement. It will have that bouncier feel compared to a solid memory foam mattress or even a hybrid model. You don’t want any memory foam at all. Although this is an innerspring mattress, it does include 1 1/2″ inches of foam in the upholstery. This gives the mattress a softer and more contouring feel that’s characteristic of memory foam. You want a firm mattress. This mattress is far toward the soft end of Serta’s firmness scale. The innerspring coil system will stop it from being overly soft, but compared to other options, this is not a firm mattress. You want to “sink in” to your mattress. The coil system really keeps this mattress supportive and a little on the bouncier side. There are some foam layers and plushness in the top of the mattress but not enough to sink in and get “stuck” like you would with an all-foam bed. If you prefer the feeling of all-foam, this may not be the ideal mattress for you. The Coralview Plush is a hybrid mattress, which means it has both innersprings and foam. Other mattresses in this collection may solely have foam or springs. 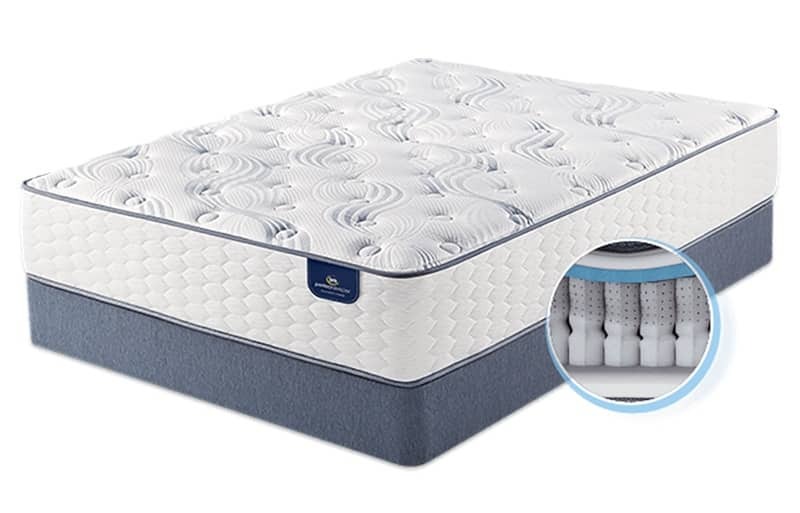 This mattress has a pillow-top filled with 1″ of Serta® PillowSoft™ Foam and a ½” of Cool Twist® Gel Foam in the upholstery. This plus the quilting layer on the very top gives it a softer feel relative to many innerspring mattresses. This could be a great option for side sleepers (individuals or couples) who are looking to stay under $1,000 for a Queen innerspring bed. The Coralview Plush mattress is approximately 12” tall and contains FireBlocker® Fiber, Pillo-Fill®, PillowSoft Aire™, 1″ Serta® PillowSoft™ Foam, ½” Cool Twist® Gel Foam, and 739 Custom Support® Innerspring with Best Edge® Foam Encasement. It is on the soft end of Serta’s firmness scale. 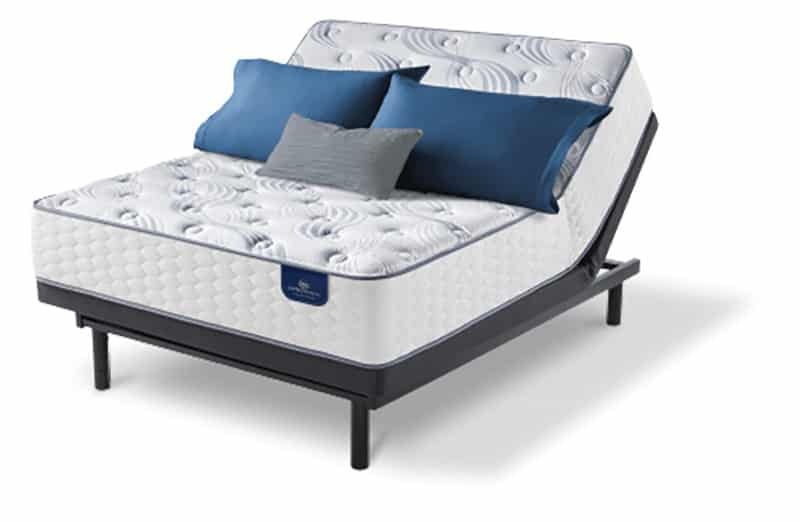 This is an affordable innerspring bed that could be good for couples or hot sleepers who want a little bit of softness and cushioning but still want the support benefits of a coil system.